More than sixty-five years ago when we first met the Holy Mother, She was not so well-known except to the inner circle of devotees. Her photograph was not easily available nor were Her teachings printed. 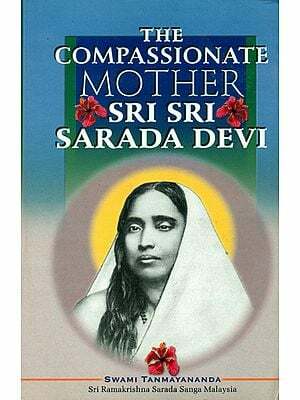 Swami Saradananda once remarked, “We could get some inkling at least of the greatness of the Master (Sri Ramakrishna), but of this lady we cannot understand anything. She has drawn the veil of Maya so thick around Her that no one can see through it and have a glimpse of Her greatness. When Her life and teachings were published in two volumes, we thought that the second volume which contained Her teachings would be more popular. Strangely enough, the first volume which contained the details of Her uneventful, humdrum daily life attracted more attention. This showed that the western people. Particularly women were eager to know about the daily life of an Indian woman. There is however a need for knowing about the teachings of the holy mother because there one finds a proper guidance for decent living here in his world and finally for realizing god. In her teachings I sincerely feel there is more practical value because her instruction are so clear detailed beyond all ambiguity and backed by her own life. She stands as an exemplar not as a mere instructor. As she one said when someone asked her mother will you please tell something in the way of instruction mother replied don’t you that is it she did everything’s she said that the gives more inspiration and guidance for our lives here. Hence it is very necessary that all her teachings scattered in different book and reminiscences are brought out in one single book form the present volume fulfils that need. I congratulate the compilers and the publisher for bringing our this valuable book which will prove very helpful to all spiritual aspirants. May the holy mother be gracious to them and to all of us is my earnest prayer to her.